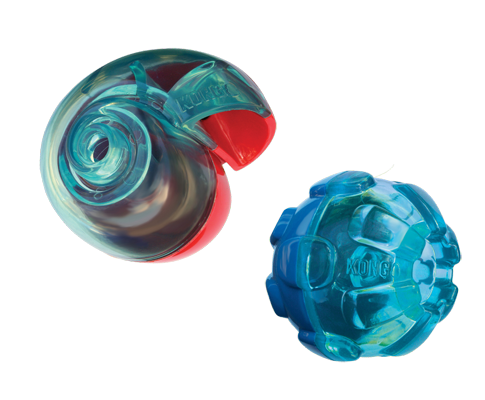 A rolling, bouncing fun-filled feast that’s as tough as it is fun, KONG Rewards randomly dispenses treats or kibble as a dog moves it around. Providing healthy mental stimulation, the unique shape also has an unpredictable bounce that keeps dogs active while they play. The durable material, designed for long-lasting sessions of quiet fun, can also be used for meals to manage weight.